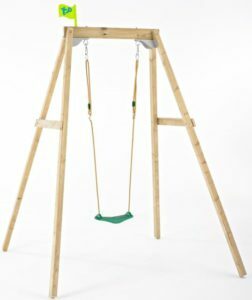 If you are considering buying a TP Wooden Single Swing in the coming days or weeks, then make sure to check out this brief review which will outline all the main features, pros and cons before you decide to buy. Additional images will be included also to give you a better understanding on the frame and dimensions and we will also outline some frequently asked questions that will be of interest to you that should help you out. Please note also that price guides can only be outlined at the time of this review as prices can change from week to week so please make sure you view the price checkers provided below to ensure you have the most accurate up to date price information. Q. What is the maximum weight allowed? Q. What type of wood is used for this swing? A. 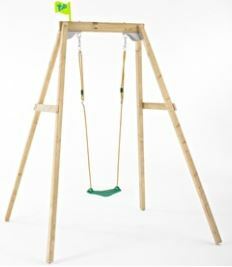 This swing is made from premium European pine from FSC certified wood. Q. What level of warranty is available on the wood and parts? Q. Can a toddler seat be used instead? Q. Does it include anchors? 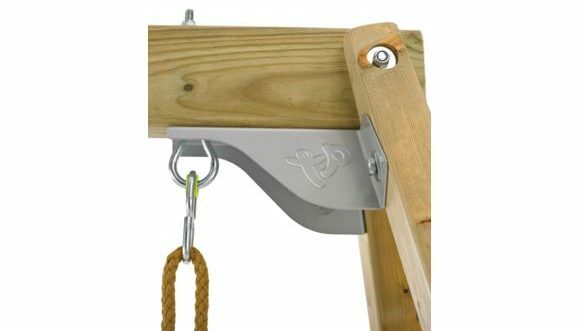 The top brackets are extremely tough, solid and hard wearing and connects the beams easily and very tight. 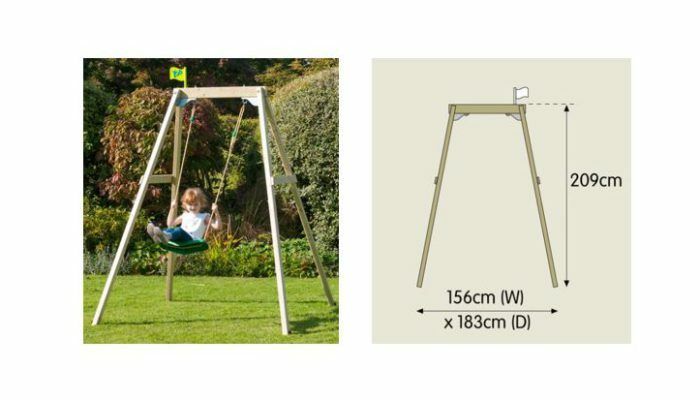 Ideal for families with very small garden spaces and is perfect for your child getting started rather than having to worry about metal swings getting rusted. Quality of the treated timber is excellent as it is air dried, planed and kiln dried before being pressure treated with an environmentally friendly preservative which penetrates deep into the wood. As your child grows older, you will need to replace it again as they grow out of it which will be an added expense. Additional delivery charges can apply depending on where you live but are generally free if it is in the UK mainland and the order value is over £49.99. Deliveries can be as long as 9 days if you are in N.I. Have you or your kids any personal experience with TP Wooden Swing Sets in the past? If so, then please share your thoughts and feedback with the wider community by leaving a comment in the comment section below – So that they can learn also!!! 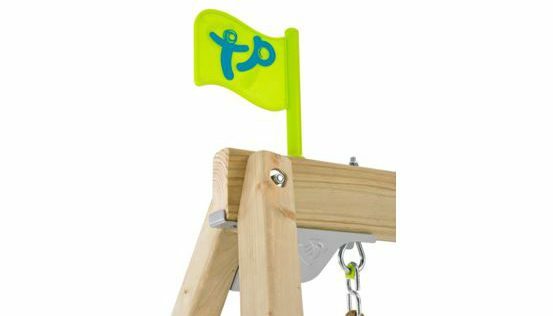 Posted in Swing Set Reviews and tagged TP Single Swing, TP Single Swing review, TP Wooden Single Swing, TP Wooden Single Swing review, TP Wooden Single Swing set.